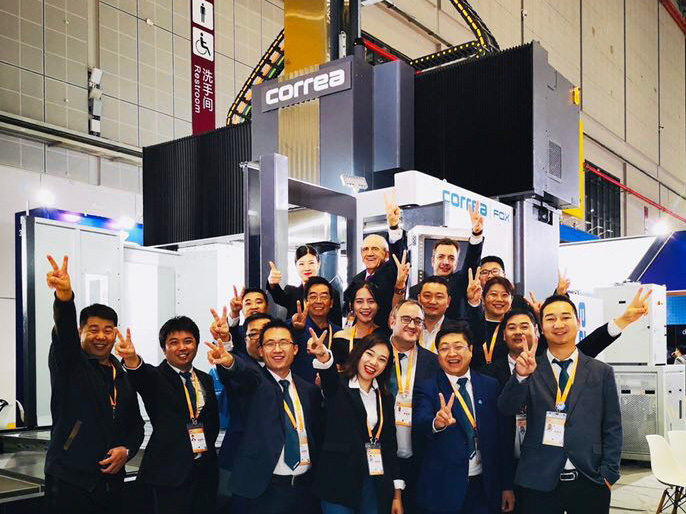 To conclude this 2018, Nicolás Correa was present at CIIE in Shanghai where it showed its bridge type milling machine FOX-50 with universal milling head UAD. The CIIE was one of the largest events of the year in the Shanghai with more than 3,000 companies form 150 countries participating at this exhibition. It was, also, a huge success for GNC as the machine FOX exhibited was acquired during the vent by a Chinese company.